HMS Maori is one of the many World War II wrecks around Maltese islands, but unlike most of them that are deep boat dives, Maori is a shallow dive that can be done from the shore. She is a real war wreck suitable for novice divers also. Maori lies on a sandy bottom with a maximum depth of 16 metres. The wreck is about 42 metres in length and quite broken. HMS Maori was a 115 metres long British destroyer that sunk in Grand Harbour of Valletta by German air raid attack in February 1942. In July 1945 the wreck was raised, and the forepart was scuttled to its current position in St. Elmo Bay near the entrance to Marsamxett Harbour on the other side of Valletta. HMS Maori is now a popular scuba diving and free diving site. HMS Maori is the shallowest wreck dive in Malta with its maximum depth of 16 m. Maori is half buried in sand, bows and stern gone, with the front against the rocky slope of the reef. What is left of Maori above sand in one piece is about 42 m in length, in addition there is some wreckage on the sand in an area at the rear of the main wreck. Maori lies almost upright, slightly tilted onto her port side. The depth on her starboard side is approximately 16 m, and on her port side about 13 m. The upper structure is only 9 m deep. 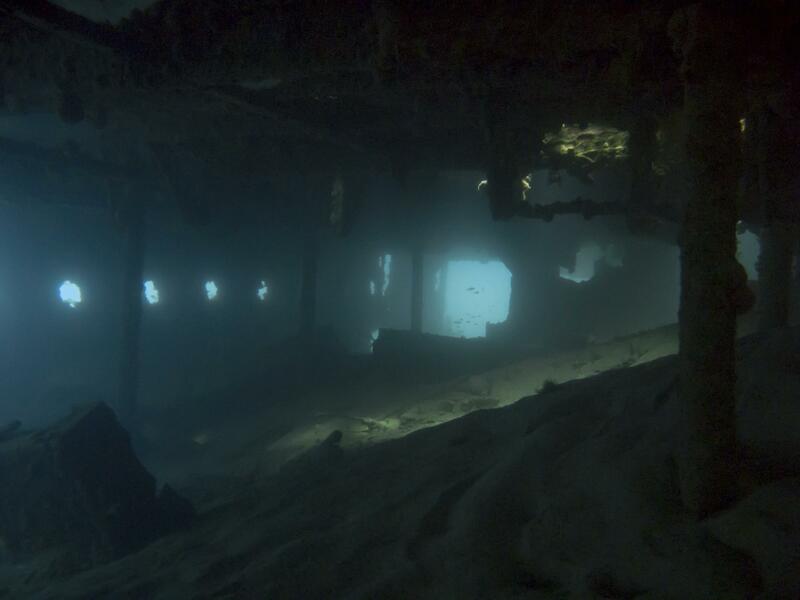 Due to the shallow water in which the wreck lies, Maori is quite broken down by storms, and much of her has also been salvaged. 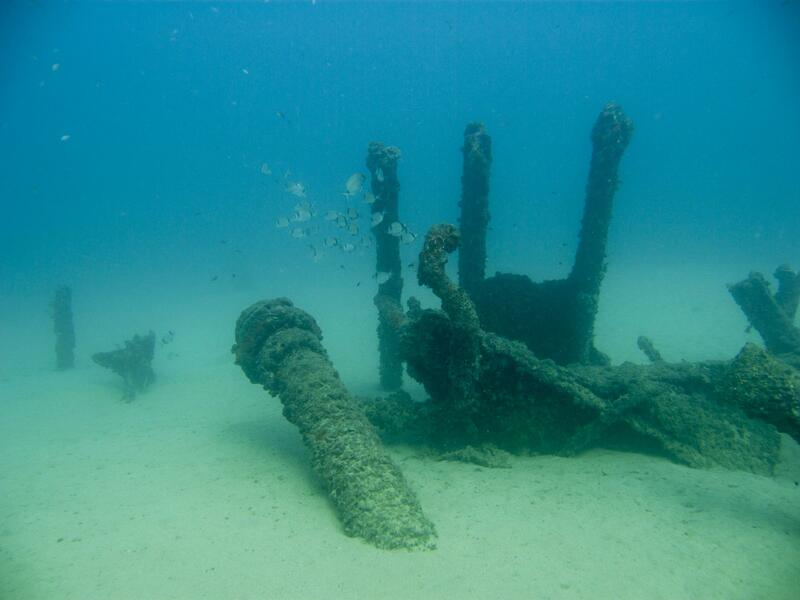 Some of the forward superstructure is still extant and easily recognized as parts of an old warship, while much of it is found strewn alongside the wreck on the seabed. Remaining superstructure includes the main deck and part of the upper structure, with the two large round hatches and framework that were front gun brass mounting bases. Both guns were removed soon after Maori sank, and reused as shore battery guns in WWII, but even without the artillery, she is a fascinating dive. There are still interesting details for divers to discover in and around the wreck, such as shells and cables, some torpedoes, rest of the windlass and a certain amount of anchor chain, twin bollards at deck level on both sides of the vessel, and some form of splash guard. The wreck of HMS Maori has lots of swim-throughs and holes for divers to investigate. Penetration is possible, but the wreck has been in the sea for several decades, so the structure is getting weak and could collapse. The sides of the ship are well rusted through and have large holes in the front, and the rear is open since the wreck broke into two. Divers can enter Maori from various openings and exit from others, swimming through the forward hold or even the whole length of the wreck. Plenty of light comes in through portholes and missing side panels, as well as through various hatches leading to the main deck. Good buoyancy is important to avoid kicking up silt inside the wreck as this can reduce visibility drastically, and there are lots of sharp edges and jagged bits of metal sticking out of the wreck. The wreckage located on the sand behind the main wreck structure has some interesting bits and pieces to explore during the dive. There is also a blue car wreck on the port side of Maori, washed in the sea by a heavy storm in the end of October 2016. Around the bay on the sand divers find a motorbike wreck, old tyres and barrels, where marine life is hiding in. HMS Maori is a good wreck dive for entry level divers, with its maximum depth of 16 m and easy access from the shore. 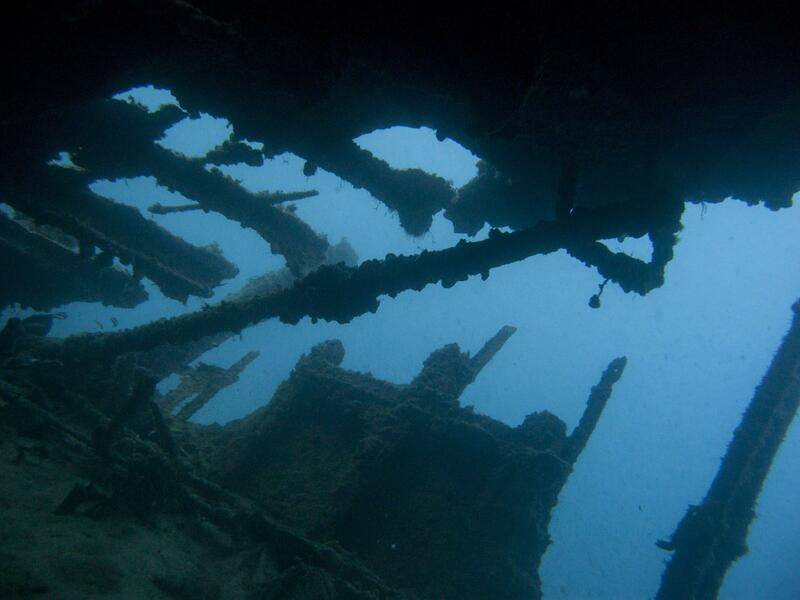 Maori is one of the few shallow wrecks in Malta, which are suitable for PADI OWD or equivalent. Other shallow wrecks are X127/Carolita off Manoel Island, also in Marsamxett Harbour, Tug 2 off Exiles in Sliema, and tugboats 10 and St. Michael off Zonqor Point in Marsaskala. 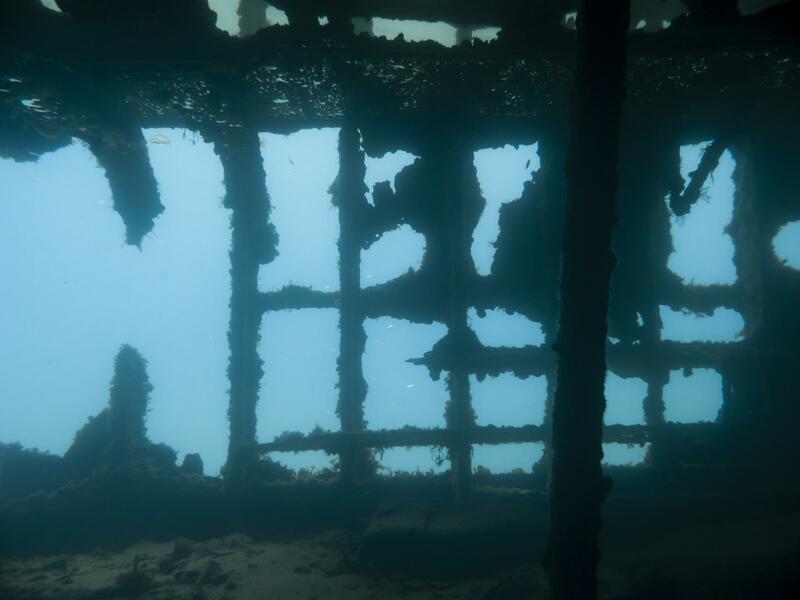 Unlike the scuttled tugs, HMS Maori and X127 are real World War II wrecks, making this a great dive for those interested in Malta’s wartime history. Maori is also ideal dive site for advanced and wreck courses, and an interesting place for night diving, with lots of sea life around. 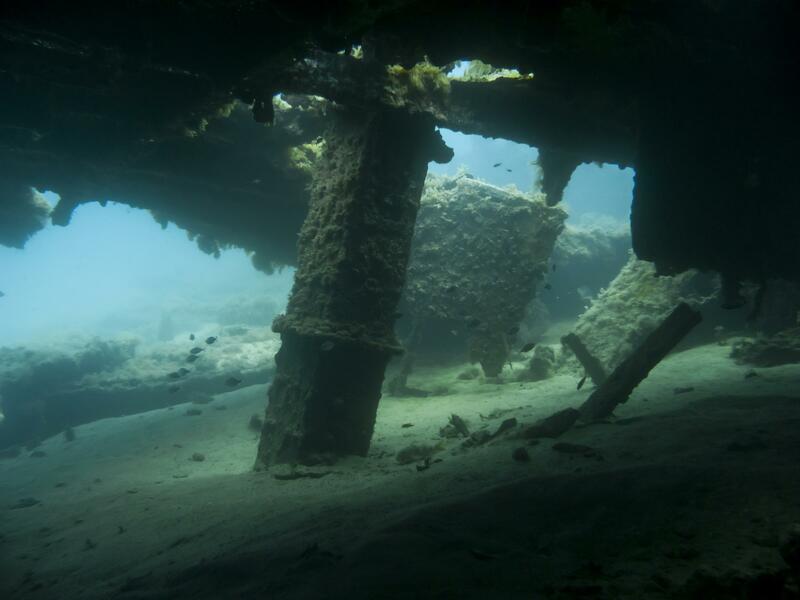 Underwater photographers can create amazing photos using the light falling in through the holes in the hull. 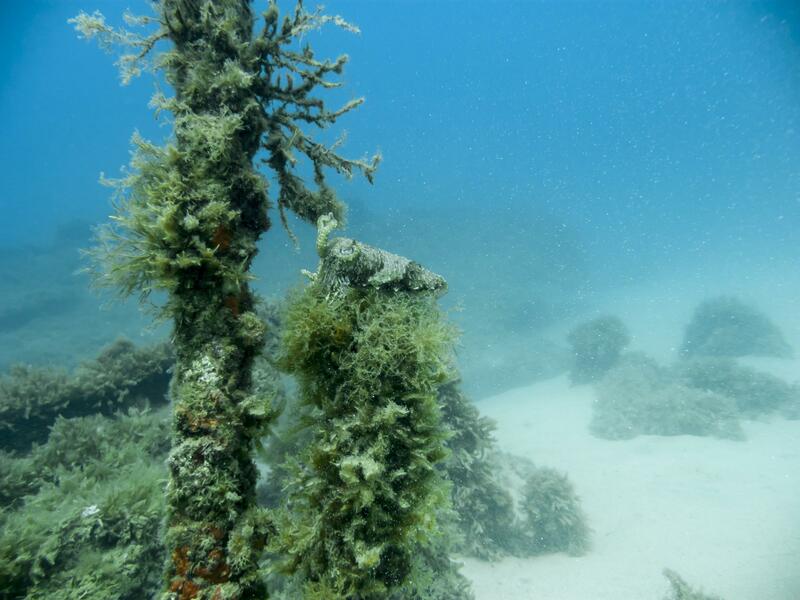 Like most wrecks of this age, HMS Maori hosts an abundance of marine life forming an artificial reef. There are lots of different types of fish and other creatures in and amongst the wreckage. The wreck is covered with green weed and tube worms, shoals of salema fish, sea breams and cardinal fish swimming around the upper structure, the many cracks and crevasses offering sanctuary to octopus and scorpion fish. There are plenty of hermit crabs around, especially on Maori herself, also nudibranchs and fire worms. On the sand one can find flatfish and burrowing starfish, red mullet digging in the sand, occasionally stingrays when in season. Moray eels, cuttlefish, sometimes even sea horses. St. Elmo Bay is well sheltered from the winds, making HMS Maori divable for most of the year. Visibility in the harbour area is not as good as in other dive sites around Maltese islands, and currents can make it go down to zero. There are several entry/exit points for Maori dive around St. Elmo Bay. The most popular one is near the bars, at the bottom of concrete steps and over a concrete platform and some rocks, which can be very slippery. The depth is less than 2 m so one should enter the water with care. There are steel railings to help exit the water. The distance to Maori from this point is some 120 m. Another entry/exit is accessed by walking a footpath over the rocks to the most northerly point, and using ladders or a gentle slope. The sandy bottom is at 30 m depth. Third entry/exit point are concrete steps near the slipway and boathouses, and fourth near the corner of Fort St. Elmo, with concrete steps down onto the rocks. There divers can choose rock-cut steps directly into the sea, or steel ladder leading into a small rock-cut pool with access to the open sea through a narrow breach in the rocks. The last entry/exit can be used also when diving Fort St. Elmo reef. Check the state of the ladders and railings before diving. When diving in St. Elmo Bay, beware of boat traffic, small motor boats are leaving and entering the harbour. It’s always good to carry a DSMB. The parking area is notorious for thieves who break into cars while divers are underwater. Do not leave anything valuable in the vehicle. HMS Maori was built by Fairfield Shipbuilding & Engineering Co. Ltd. in Govan, Scotland and launched on 2nd September 1937. Maori was a Tribal class destroyer, one of the 16 in British Royal Navy. She was steam turbine powered steel vessel for a crew of 190 men, with overall length of 115 m and a beam of 11 m. HMS Maori got her name from the Maori people of New Zealand (all Tribal class destroyers were named after different indigenous people). During the early hours of 12th February 1942 HMS Maori was anchored at the emergency destroyer buoy at the entrance to Dockyard Creek in Grand Harbour of Valletta. German air raid at 2 am hit Maori directly in her engine room. She caught fire and shortly afterwards her aft magazine exploded and the destroyer sank at her moorings stern first, causing her bows to rise out of the sea. At daybreak, Maori's forepart was still visible above the surface. During the afternoon she filled with water and sank slowly, blocking the entrance of Dockyard Creek. The wreck was in the middle of harbour traffic where she had sunk, seriously obstructed a major shipping lane and was hazardous to shipping, but for the time being it was decided to leave her there. Three years later in 1945 HMS Maori was re-floated and towed out of the shipping lane. Her two forward guns were removed and re-mounted at Fort Ricasoli as shore battery guns during the Second World War. The plan was to tow the whole wreck near Fort St. Elmo and scuttle her, but during the tow from Grand Harbour to Marsamxett Harbour, two thirds of the aft section of the ship broke off and sank in deeper waters. The remaining third, Maori’s bow section, was scuttled in shallow waters of St. Elmo Bay (aka Il-Fossa or Jews Sally Port), situated on the south side of the entrance to Marsamxett Harbour, some hundred metres from the shore of Valletta, on sandy bottom at a depth of around 16 metres. ★★★★☆ Interesting war wreck. A bit small and in bad shape already tho.